With thy Needle & Thread: A finish is in sight! the J.M. 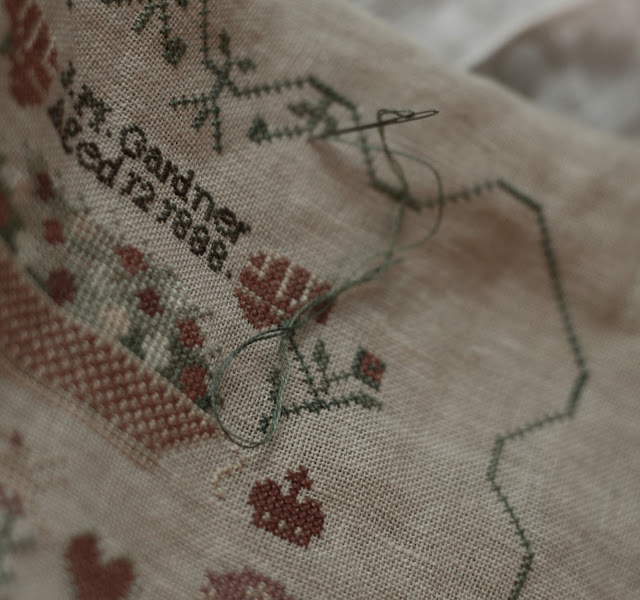 Gardner- 1888 sampler. to stitch in the border! Last evening I finished up the fruit basket. a more long and stretched out version. The sampler also has a lovely little brick house. in which she learned to stitch. I was craving an apple. I hear the local apples are ready. greeted me at the grocery store yesterday! chart will be sometime in September. Can't wait to see the finish. neat piece...I just love fruit baskets. Looks like a great little piece. Love the colors that I see in it. Do you have a date for Frances Pool yet? Can't wait to see all your new designs, love the ones I am seeing. One that I recently bought "Feather Your Nest". Can hardly wait to start stitching it up! Can't wait to see the finish! This looks like another one of yours I will need to stitch. I can't wait for that pattern to be released. 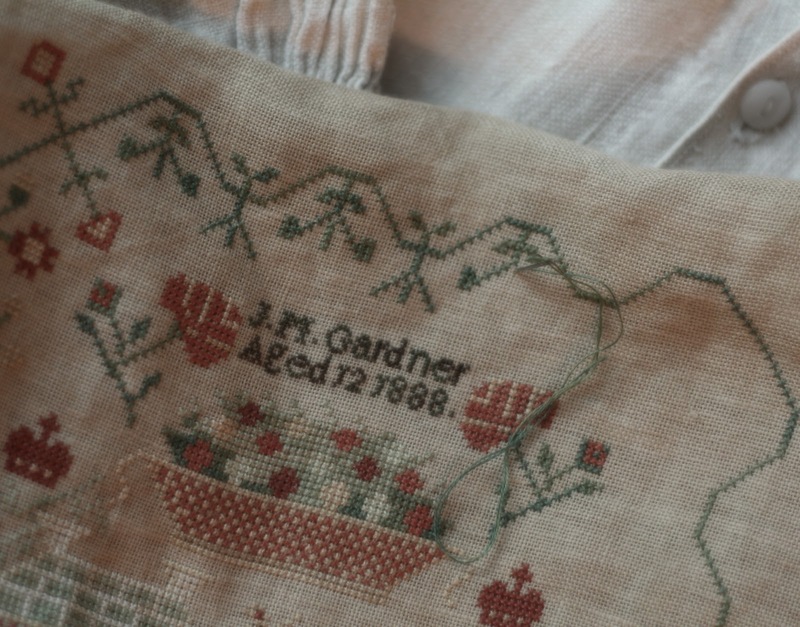 J. M. Gardner is shaping up to be an absolutely lovely little sampler! I've been watching your progress with this one and I can't wait until its release date. This one's definitely a must for me.